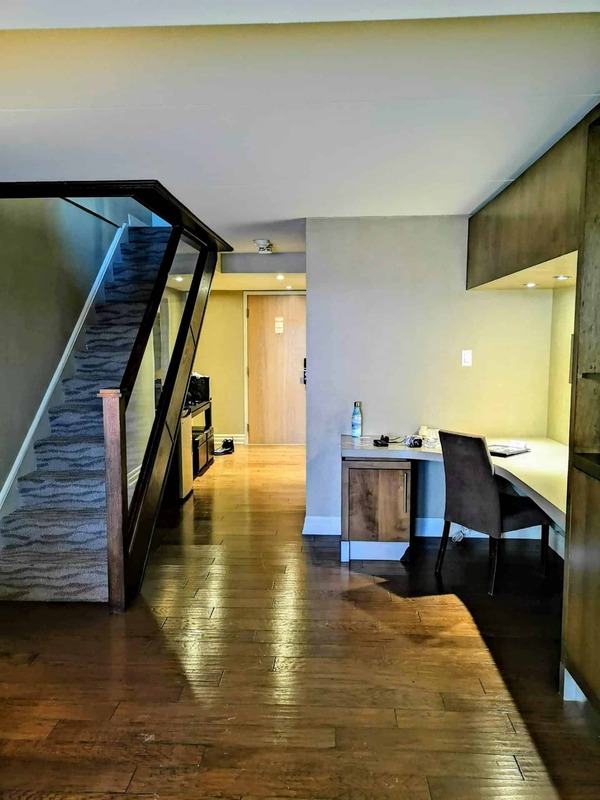 Living in Toronto, working a 9-5 and having a side hustle, there is nothing I look more forward to than a couples weekend getaway from Toronto, even if it is for one night. 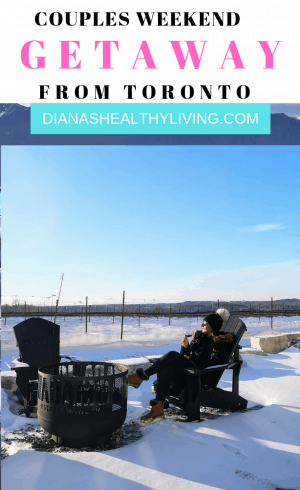 My husband and I are always on the lookout for new getaways that are close to the city. 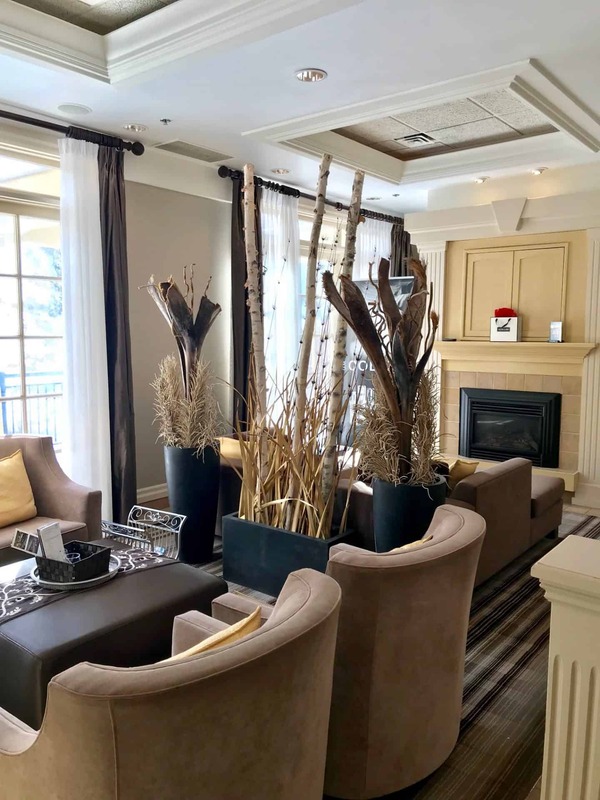 Hockley Valley Resort was a perfect choice, one of Ontario’s great ski resorts near Toronto. 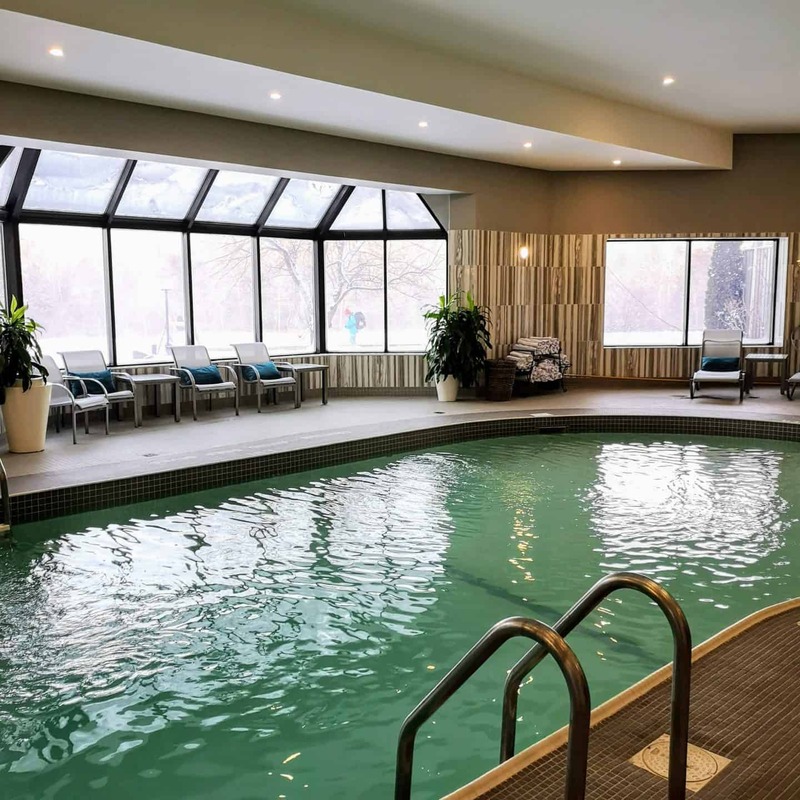 We were really looking forward to visiting Hockley Valley Spa. 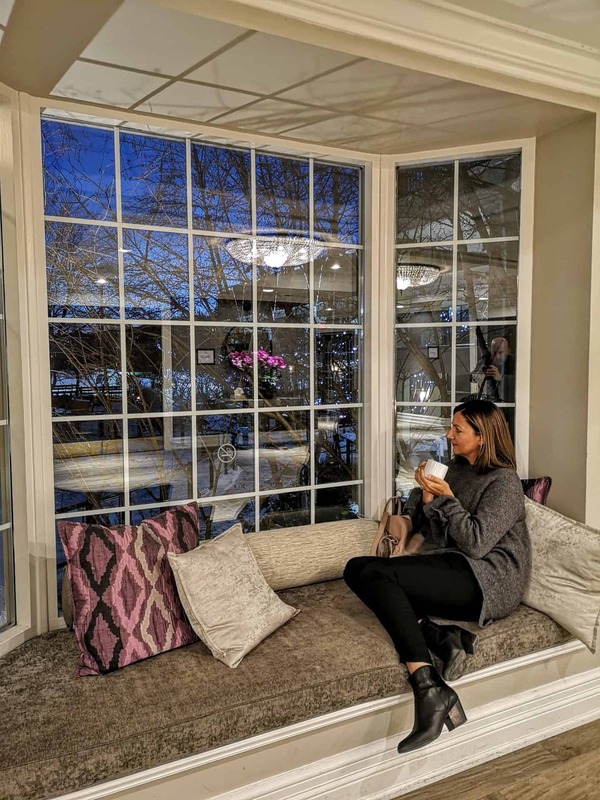 Hockley Valley is located just under one hour from Toronto, making it an easy, stress-free getaway couples weekend getaway from Toronto. 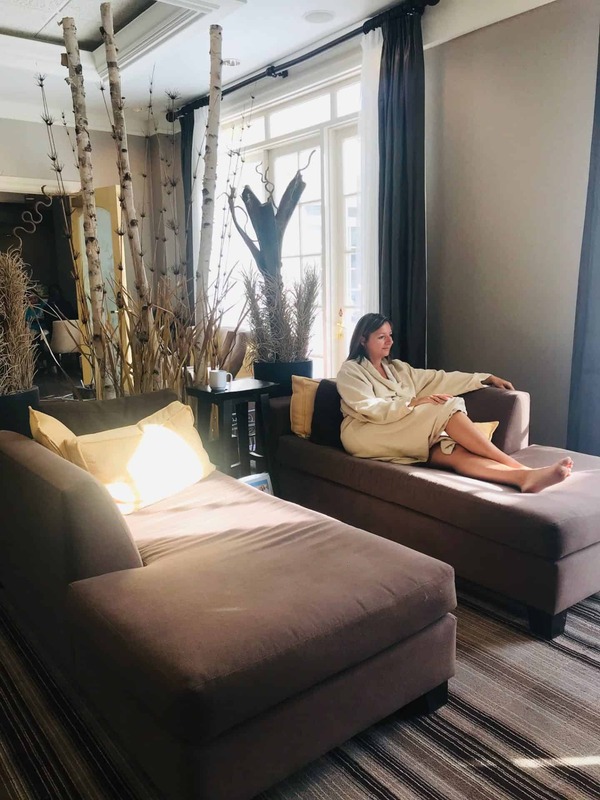 We decided that a one night getaway with some wine tasting, couples massage and five-star dining would be the perfect way to rejuvenate. 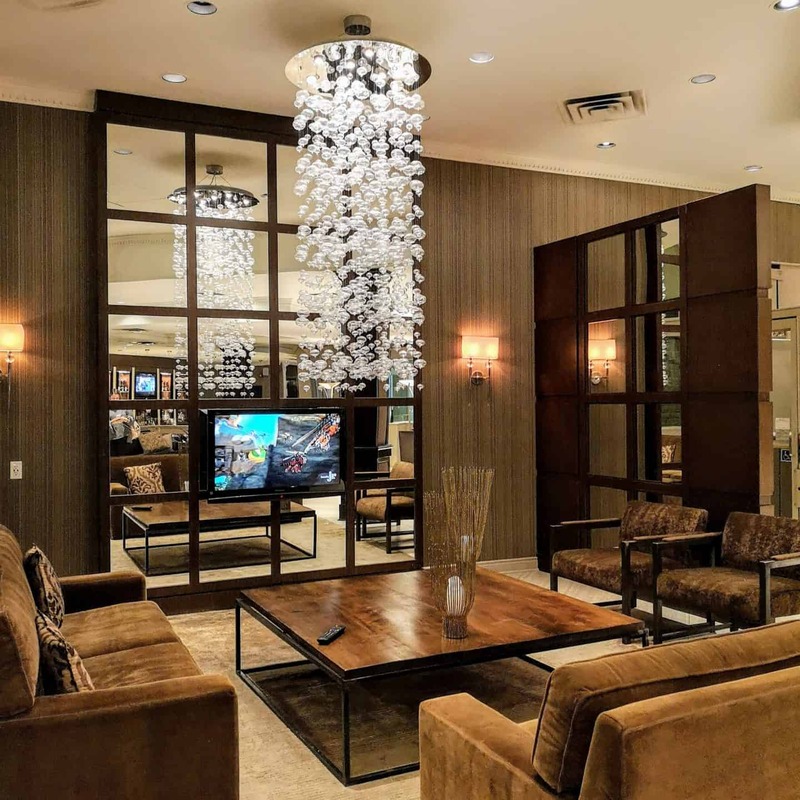 This hotel was completely renovated and now features 104 luxury rooms and suites, 14 meeting rooms and an 8,000 sq.ft. full-service spa. The resort is also home to a championship 18-hole golf course, and 15 scenic ski and snowboard runs for all levels. 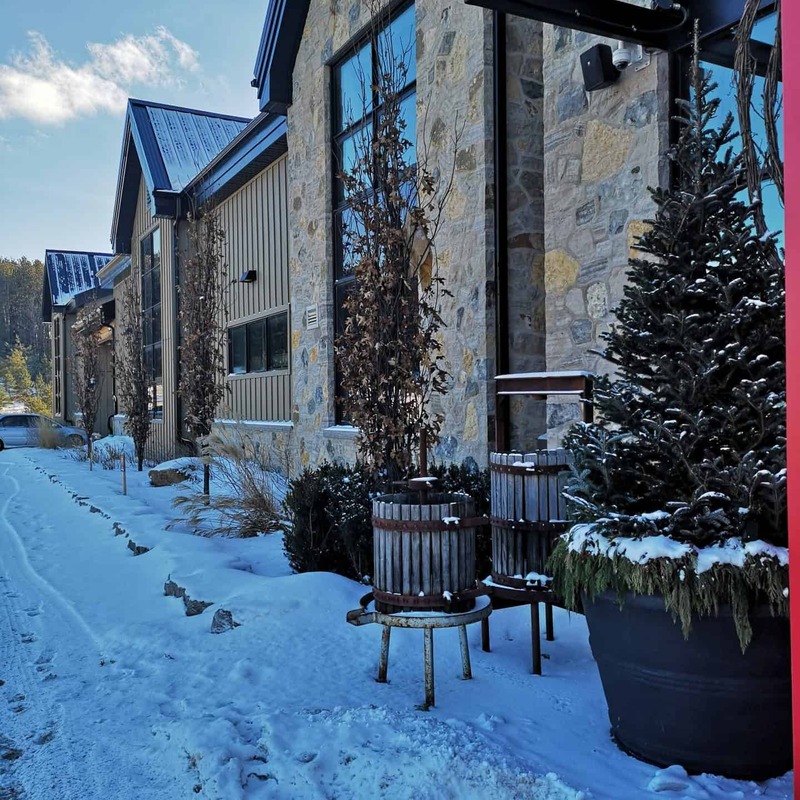 On our way to Hockley Valley Resort, we stopped in at Adamo Estate Winery. We had no idea that there was a winery in this region, not to mention great tasting wine. 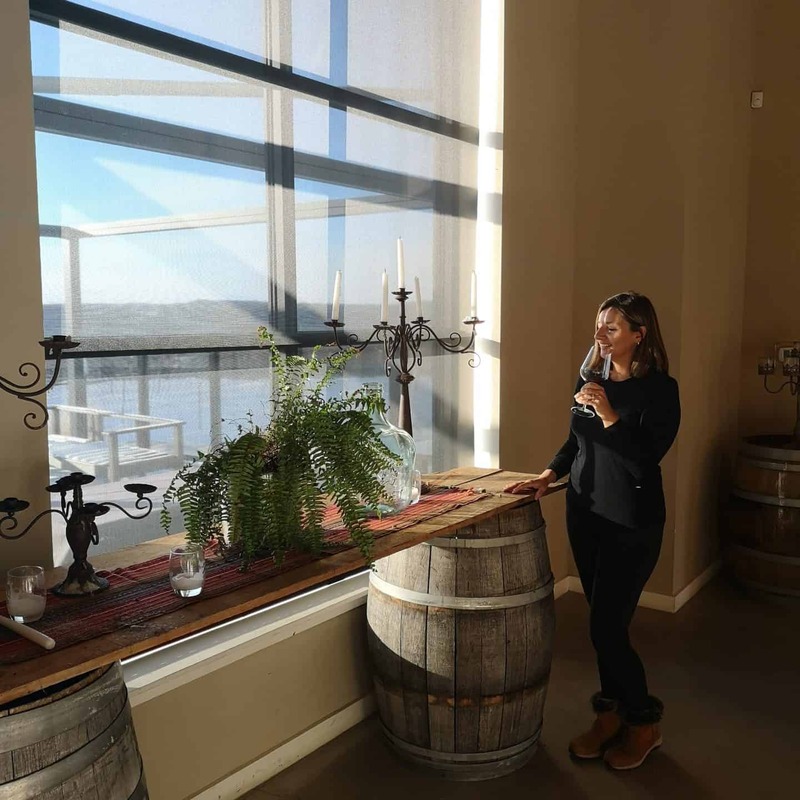 This 25-acre winery was a nice surprise. 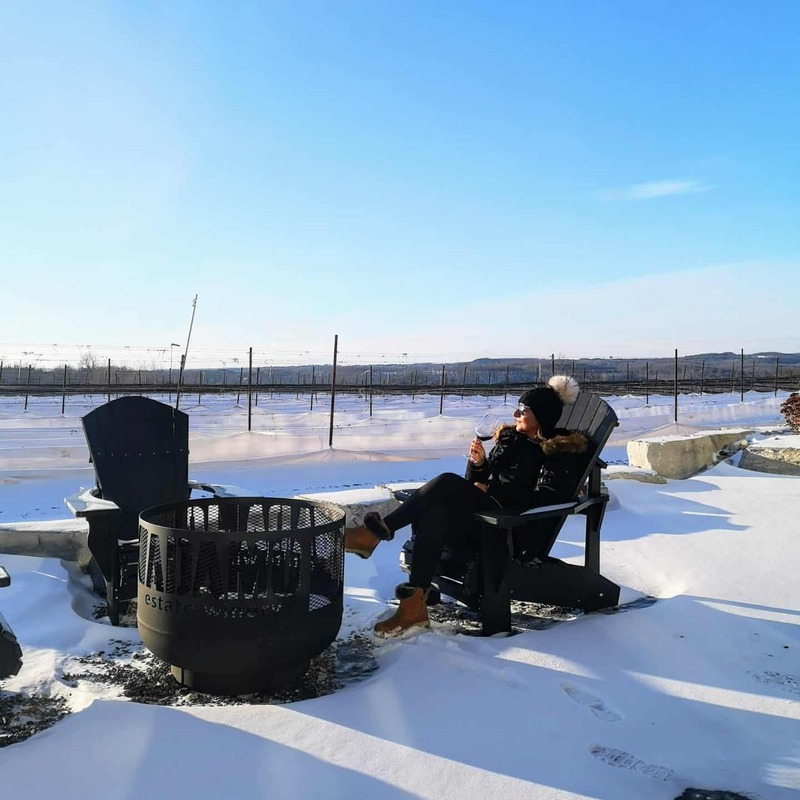 Adamo Estate Winery is a small batch boutique winery located 45 minutes north of Toronto, just a two-minute drive from Hockley Valley Resort. What really attracts us to this winery is that it is organic and biodynamic, which is becoming a popular, sustainable winery practice. Read about their organic farming practices on their website. 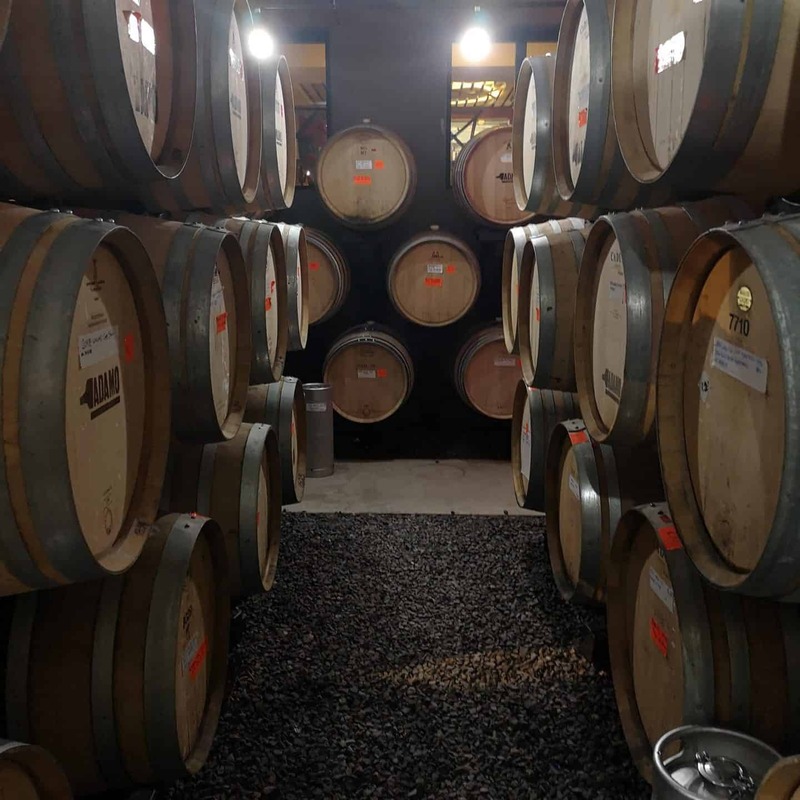 They focus on cool climate Chardonnay and Pinot Noir, making those their principal varietals, as well as Riesling, Gamay Noir, Cabernet Franc and Vidal. Other varietals they carry include Chardonnay Musqué, Marechal Foch, Merlot and L’Acadie Blanc. We enjoyed a tour of the winery learning first hand about the winery, the farming practices and of course, tasting the wine. 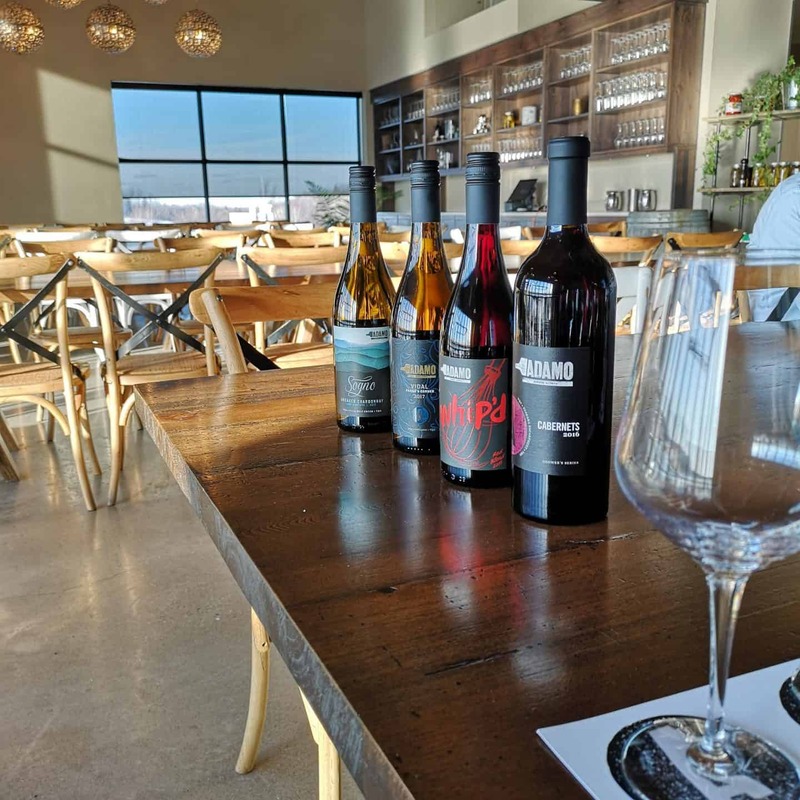 Tastings and tours run Saturdays and Sundays at 12pm and 3pm. 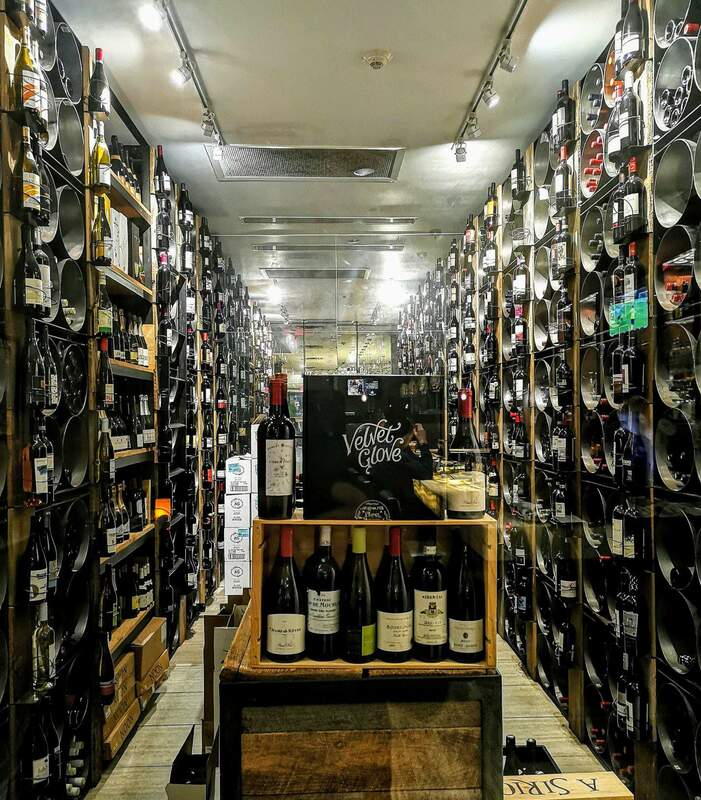 They also have a tasting bar where you can taste all of their wonderful wines in an intimate and cozy setting. 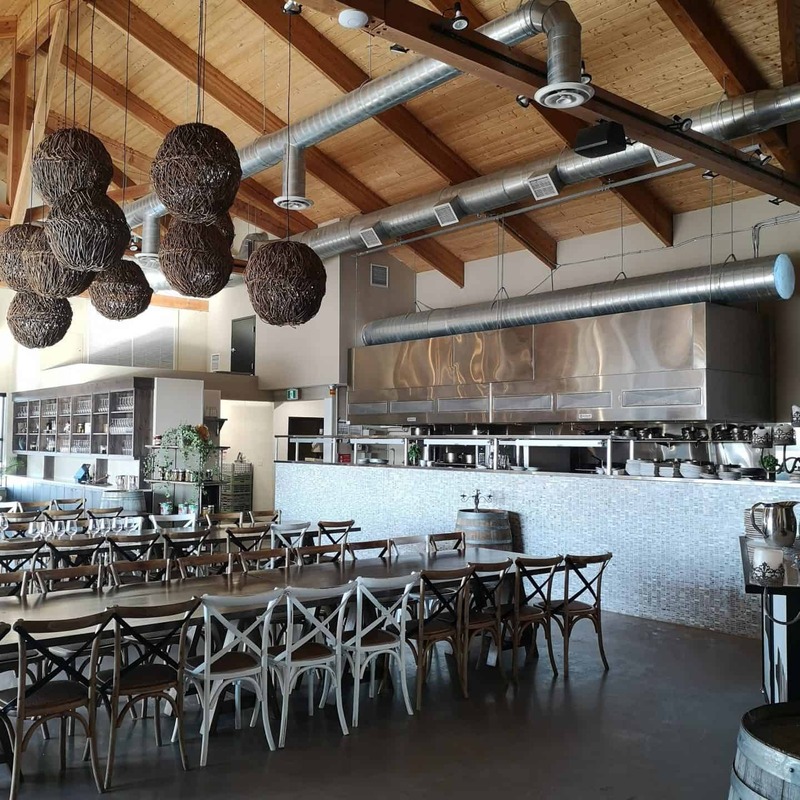 We are definitely going to head back to try out some new wines and enjoy the Paddock Cafe that features locally sourced and house-made farm-to-table meals. This was my favourite red. It is an easy drinking red wine that has a jammy flavour with hints of toasted oak. This is another one of my favourites. The aroma of this wine is similar to Icewine with flavours of honey, citrus, pineapple, apricot and peach. This Chardonnay has a fresh and fruity flavour with banana, citrus fruits and green apple flavours. This is my new favourite Ontario wine. 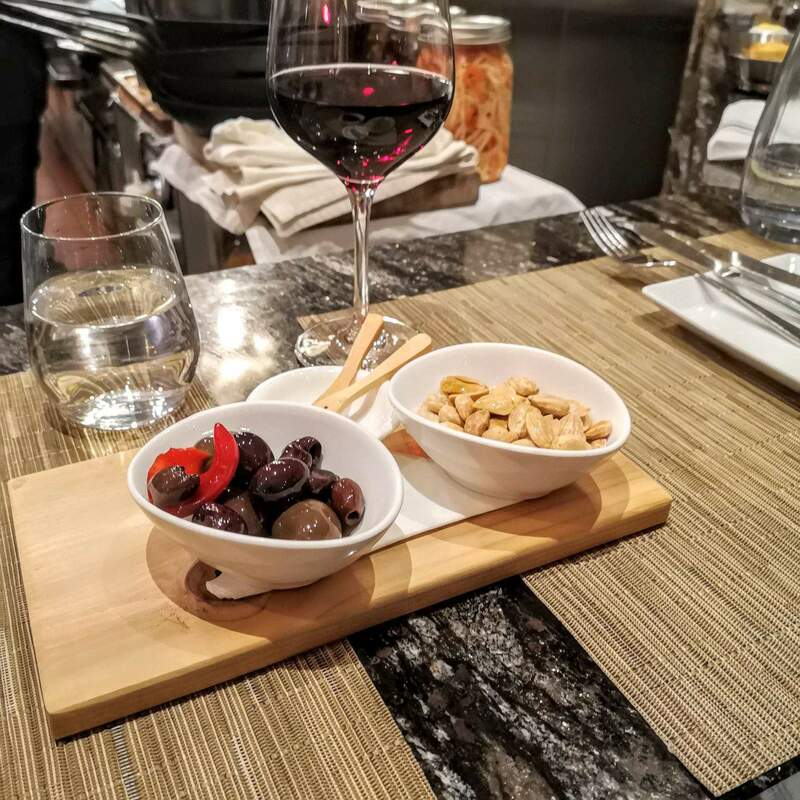 After our wine tasting, we headed out to Hockley Valley Resort, a two-minute drive from the winery. We were quickly checked in and headed to our room to unwind before heading to dinner. 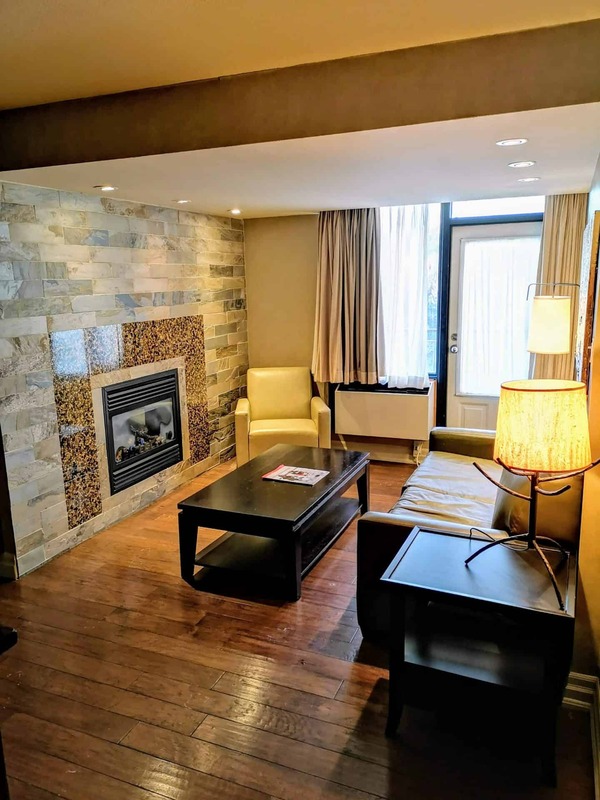 We stayed in the bi-level Executive Suite that has a spacious lower level with a large sitting area, bathroom, gas fireplace, workings pace, and a balcony with views of the valley. 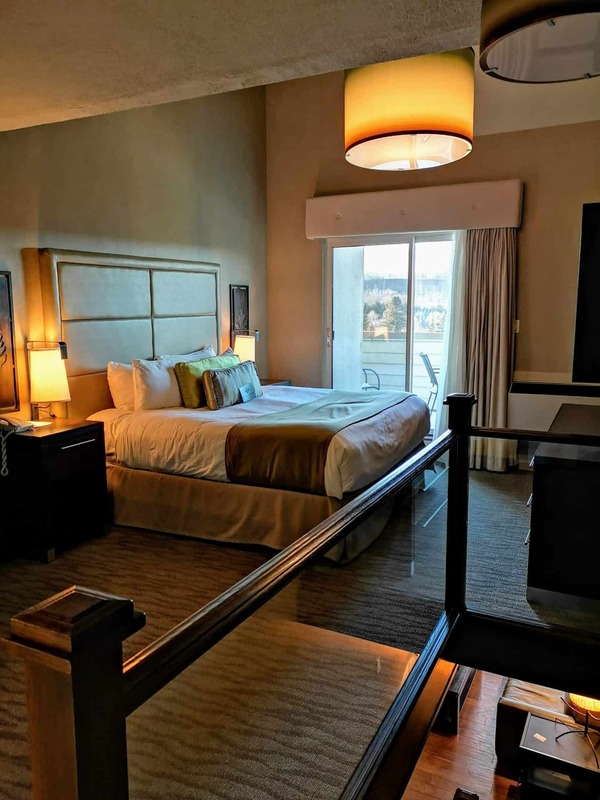 The upper level has a plush king bed with a full bathroom, featuring a European-style walk-in shower. 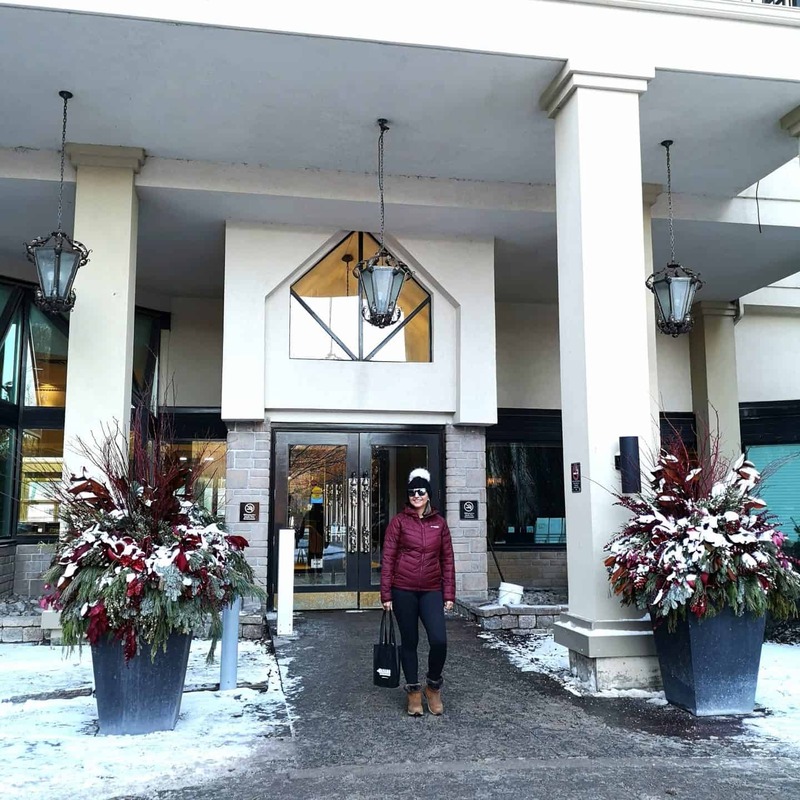 Most people that visit Hockley Valley Resort during the winter months are here to ski. 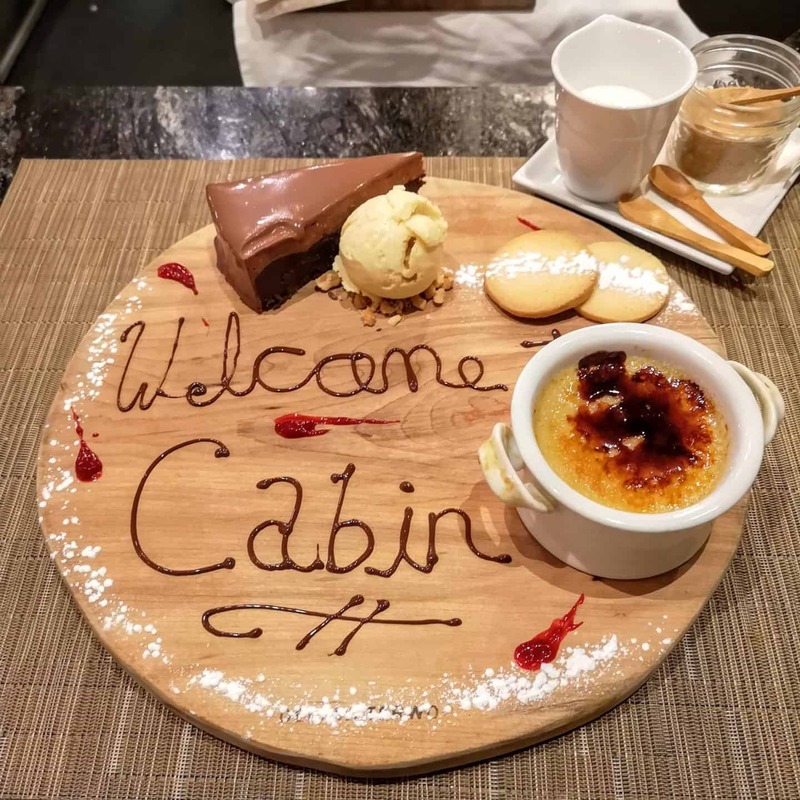 My husband and I don’t ski but that shouldn’t stop anyone from staying at a ski resort as they offer so much more than just skiing. Once we settled into our room, we headed out to explore the rest of the resort. There are so many places to sit and cuddle up in front of a fireplace. 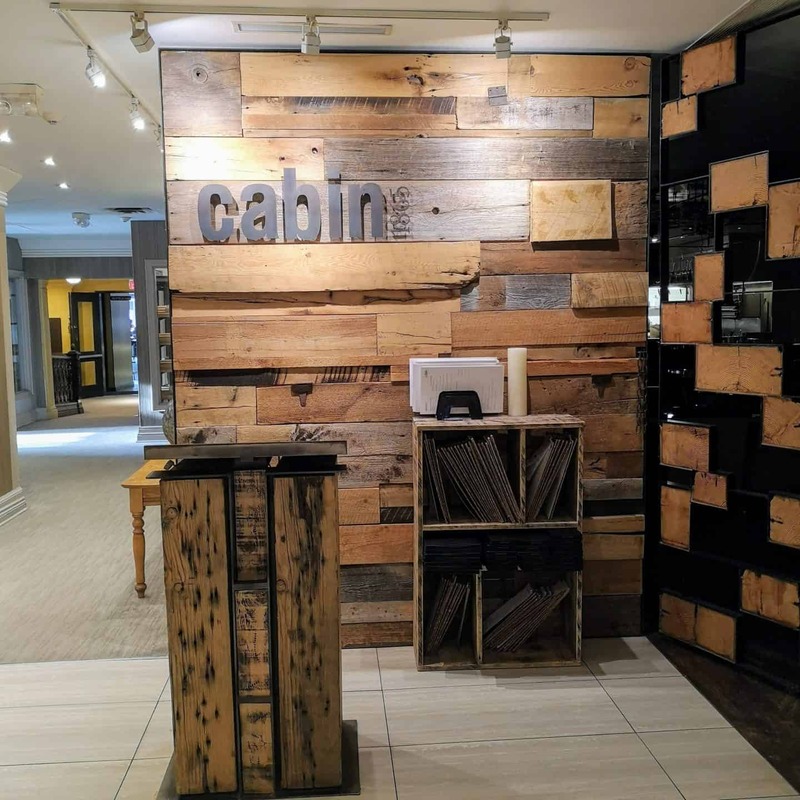 We enjoyed dinner on property at Cabin Restaurant, a 2,600 square foot space that combines rustic and modern décor. We love that the menu is defined by their farm-to-table philosophy on food. 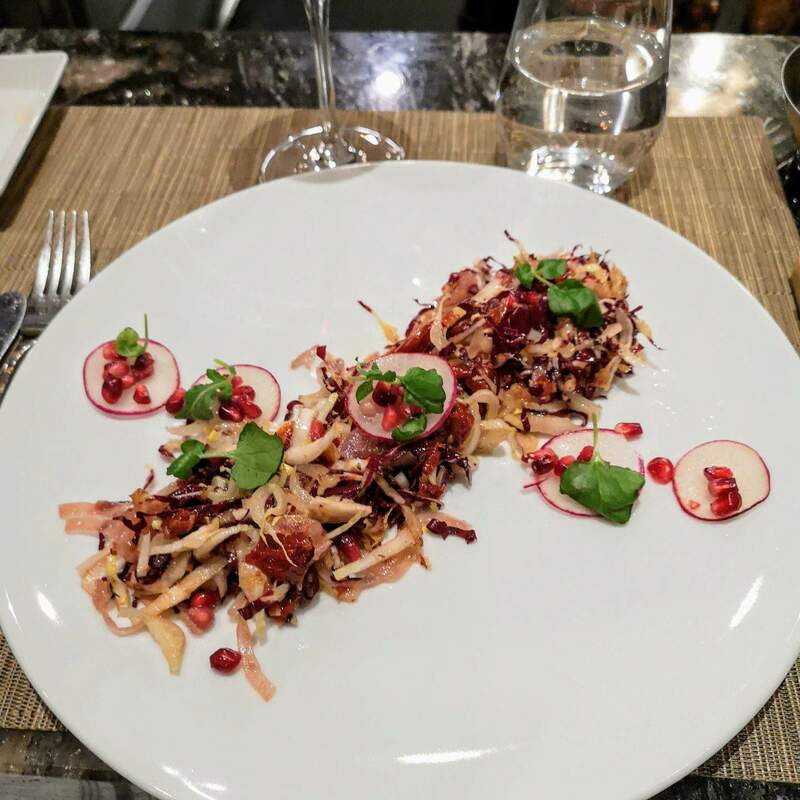 The à-la-carte menu is prepared with the best of local cuisine, using only the freshest ingredients from the Resort’s two-acre fruit and vegetable garden, seasonal preserves, and fare from local farmers and suppliers. This is impressive and something both my husband and I really appreciate. 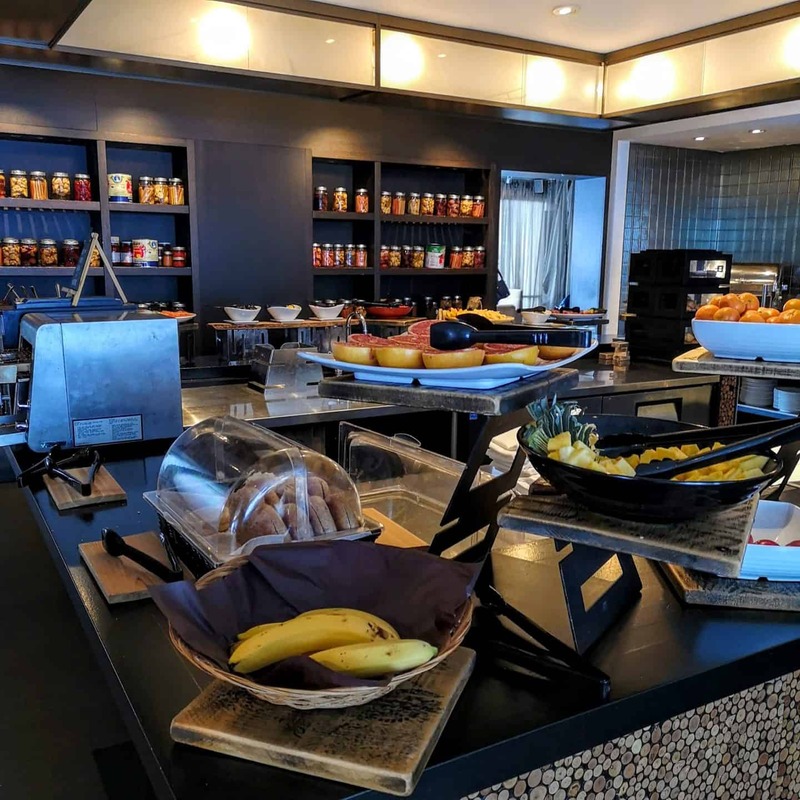 The fruit and vegetable farm at Hockley Valley Resort provides 80 percent of all restaurant menu ingredients. Spanning four acres, the farm helps to reduce our carbon footprint, increases our guests’ experience and enriches the resort’s natural beauty and charm. 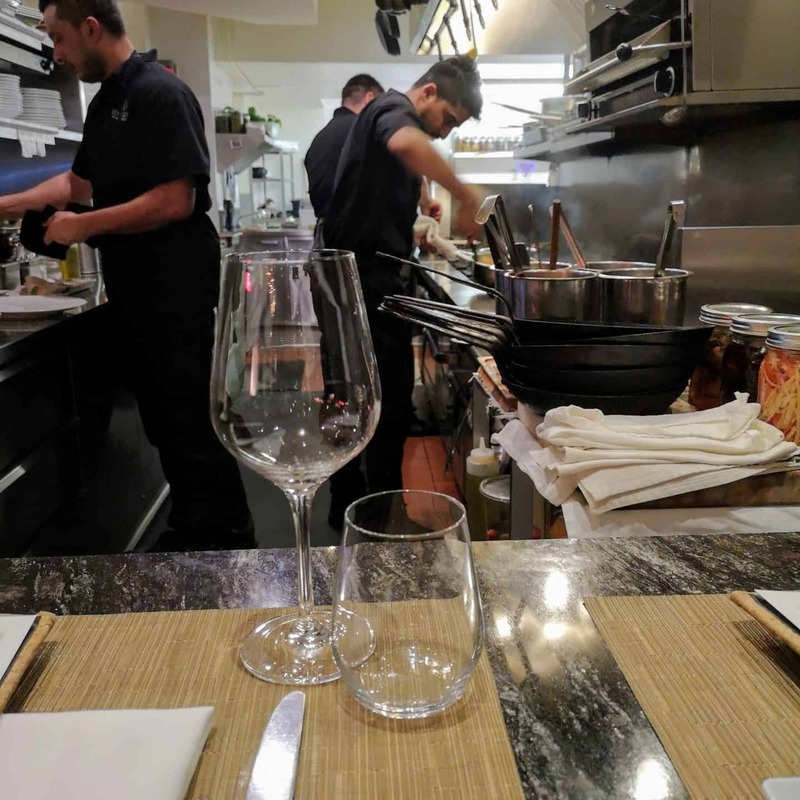 We had the best seat in the house, the Chef’s table. 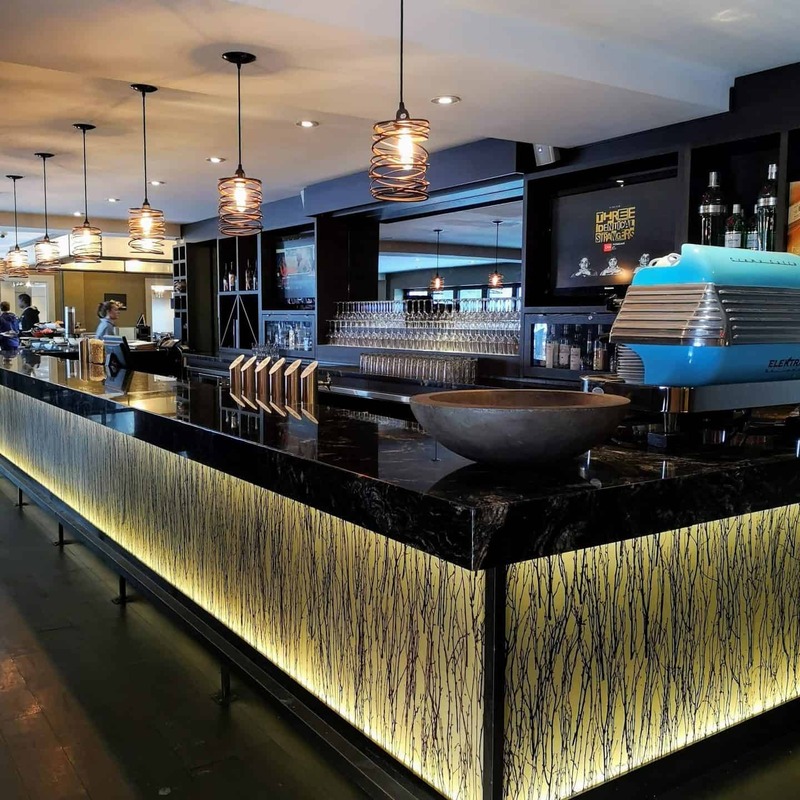 We were up close and personal, sitting in at a bar-style seating overlooking the kitchen. It was fascinating watching the chefs all hard at work ensuring perfection. 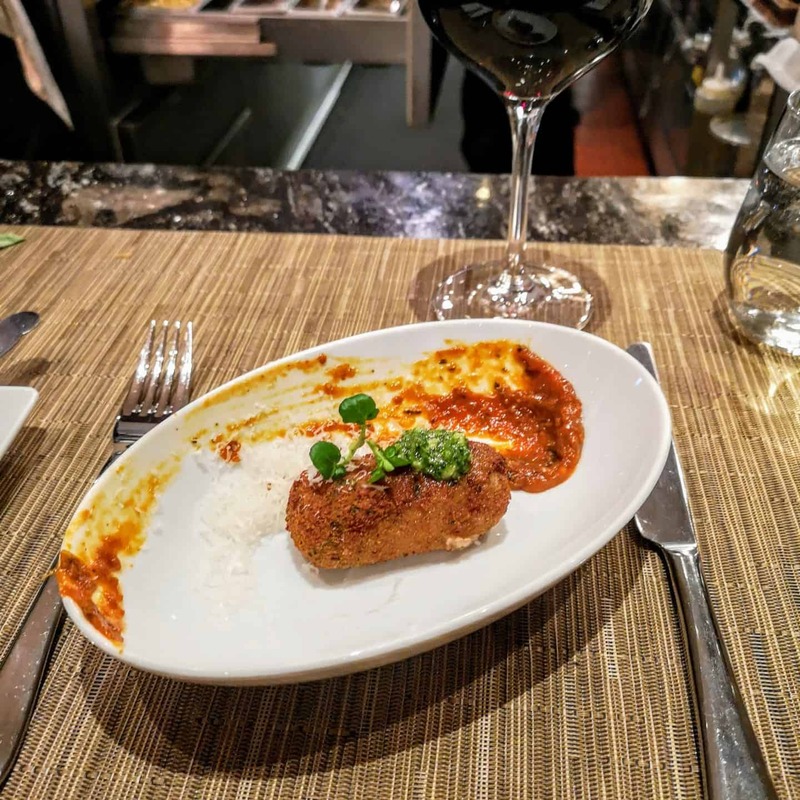 We started our meal with the Warm Olives, toasted Marcona almonds, Estate olive oil and the beef croquet with tomato jam and pesto. 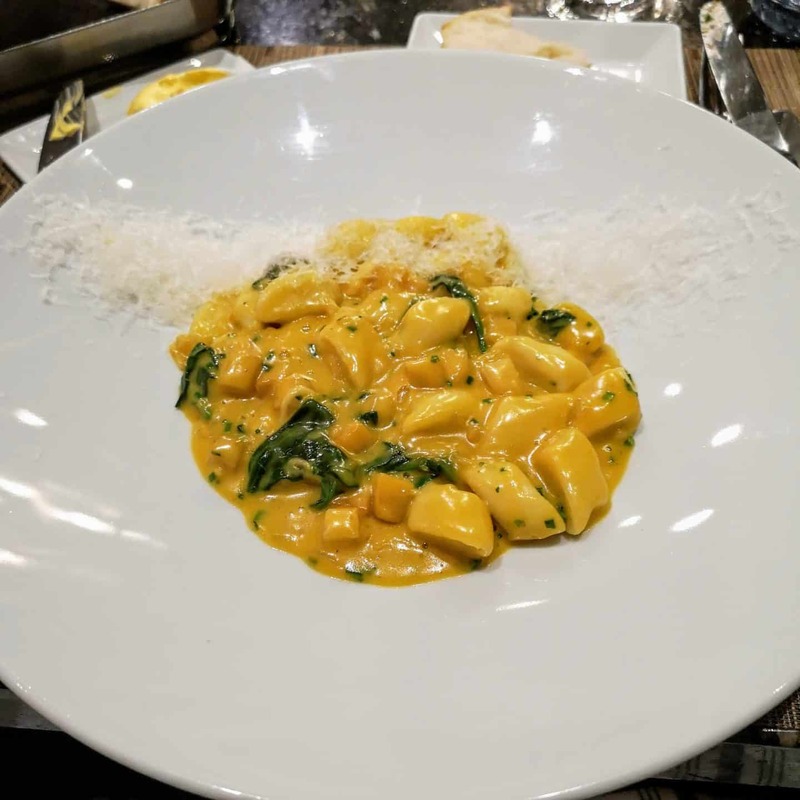 I usually don’t have pasta as a starting course but I couldn’t resist and had to order a small plate of the Ricotta Gnocchi with squash crema, root vegetables, spinach, and reggiano. It was perfection. The gnocchi were so light and airy, these were definitely not store bought. 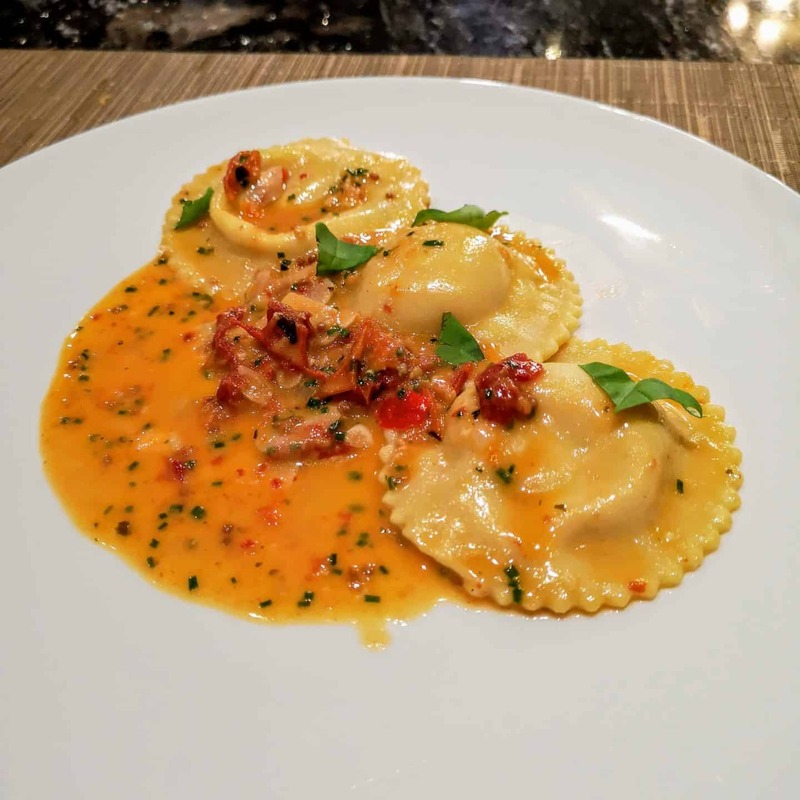 While we were waiting for our main course, the chef served us a tasting of scallop stuffed ravioli in a smoked tomato sauce. For the main course, I was torn between the chicken and fish dish. 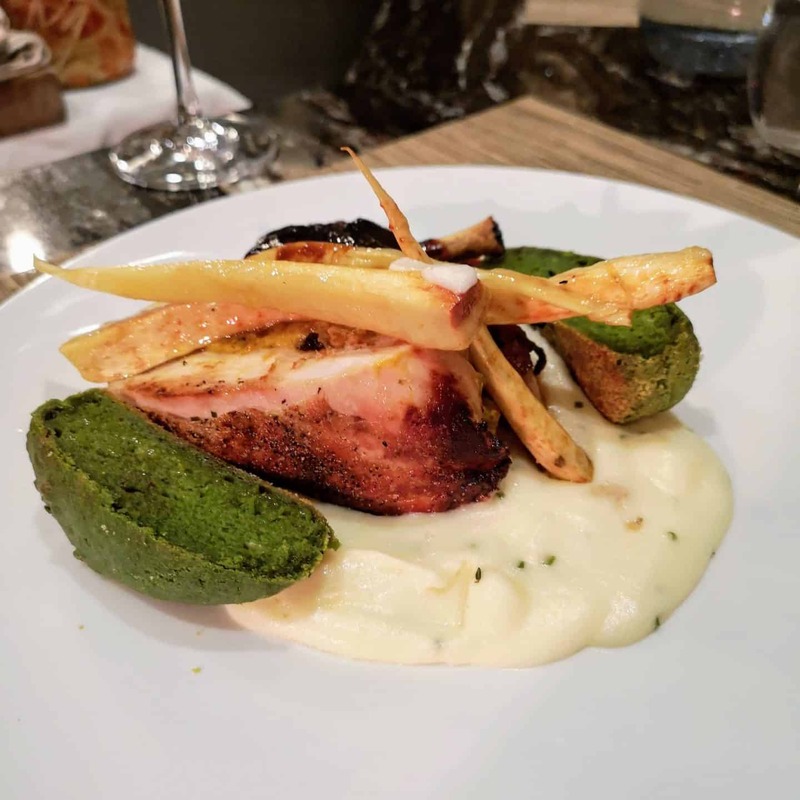 I finally decided on the Chicken with roasted kabocha squash stuffing, pomme purée, collard greens formentino, parsnip, and sage jus. 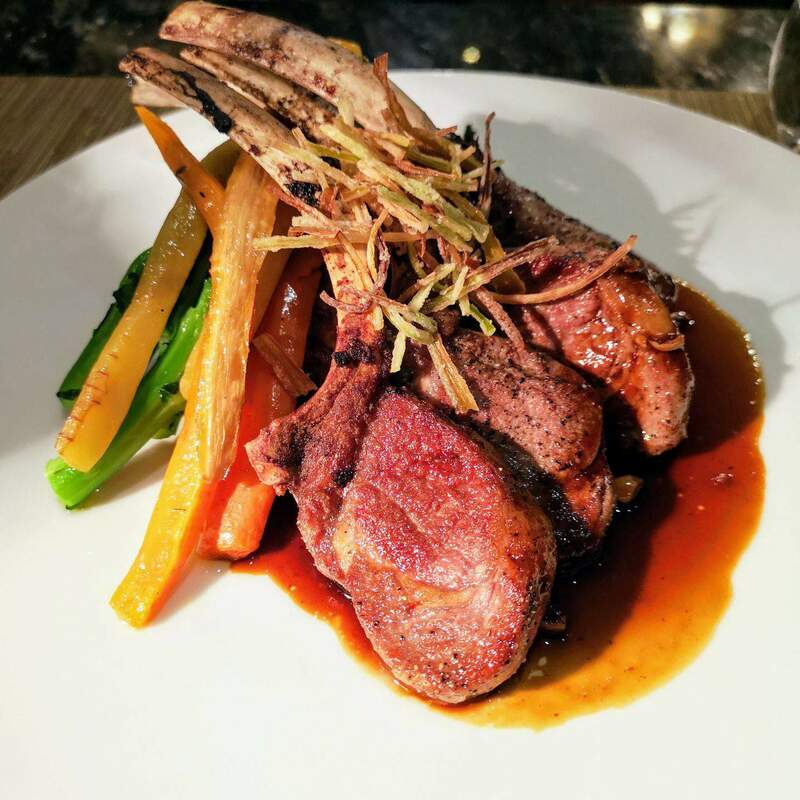 As soon as I saw the menu, I knew my husband would order the Alberta Lamb Rack with caramelized onion & potato roasti, rapini, roasted carrots, and garlic jus. We were stuffed but knew we had to end this amazing meal on a sweet note and ordered dessert. We savoured the Torta with white chocolate ganache, Niagara peach crema layer, house made bourbon gelato, and pistachio crumble. After dinner, we basically rolled ourselves back to our room and spent the night in front of the fire. 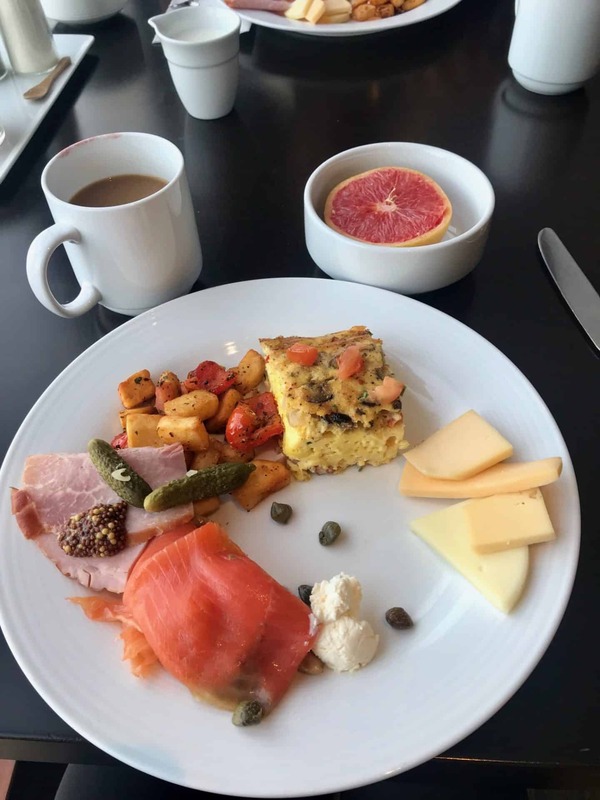 The resort offered a buffet breakfast with great selections of cereal, cheeses, bagels, smoked salmon, waffles, eggs and bacon. After breakfast, we had some time to enjoy the resort. We decided to enjoy the sauna before heading to our couples massage. 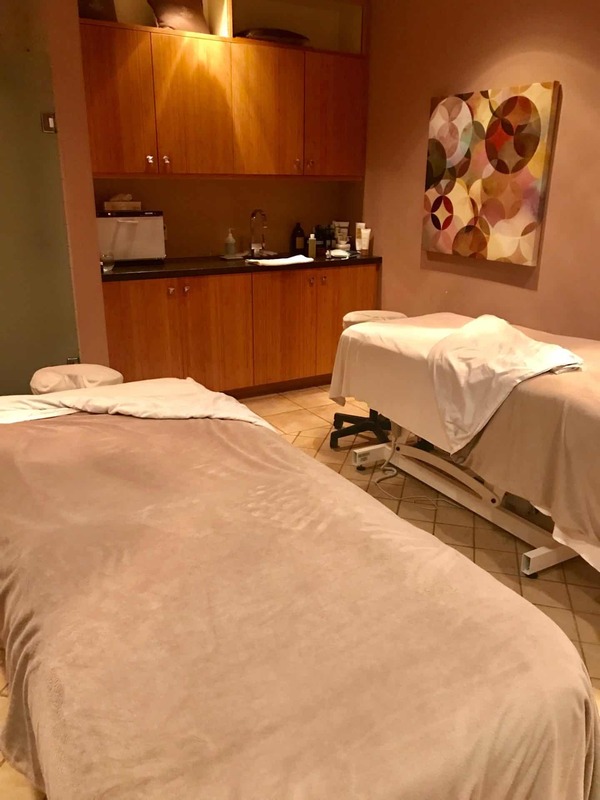 The spa offers many wonderful menu items such as facials, manicures, pedicures, and massages. They also offered advances services such as botox, micro needling and many more. We enjoyed the serenity of the spa while enjoying a couples massage. It was extremely relaxing and we didn’t want to leave but sadly it was time to end this relaxing weekend and head back home. 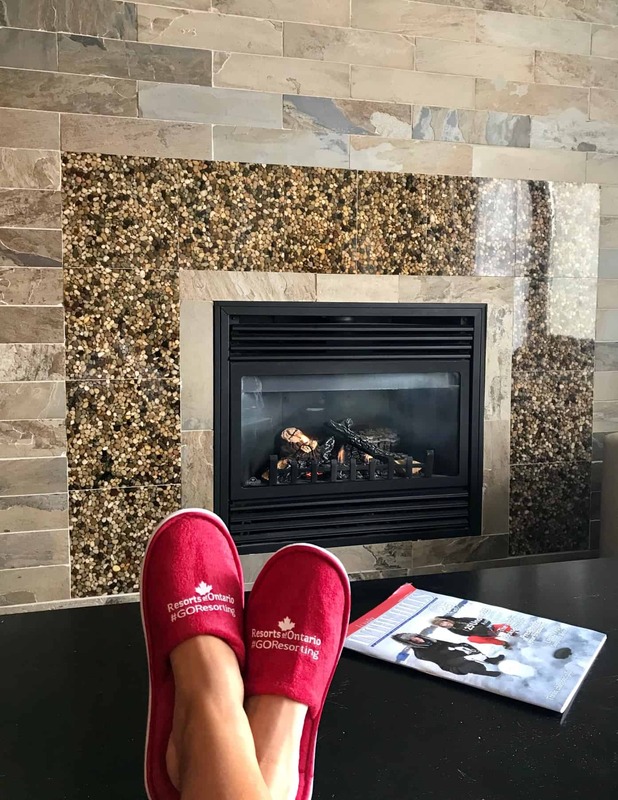 Thank you Hockley Valley Resort and Spa for a wonderful couples weekend getaway from Toronto.